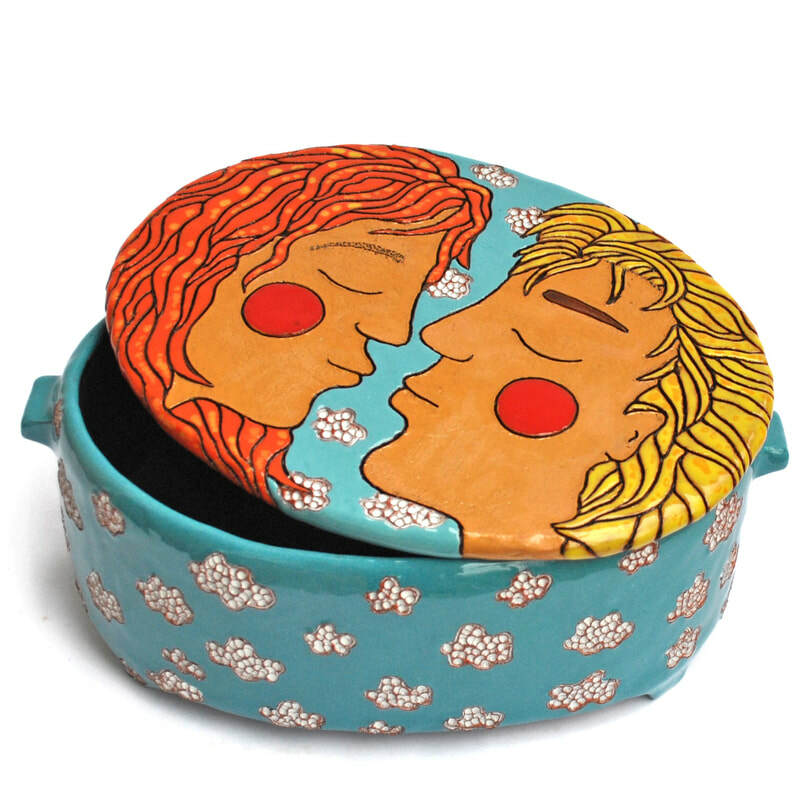 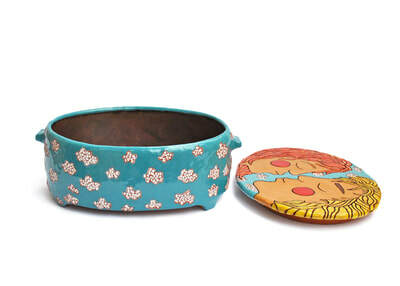 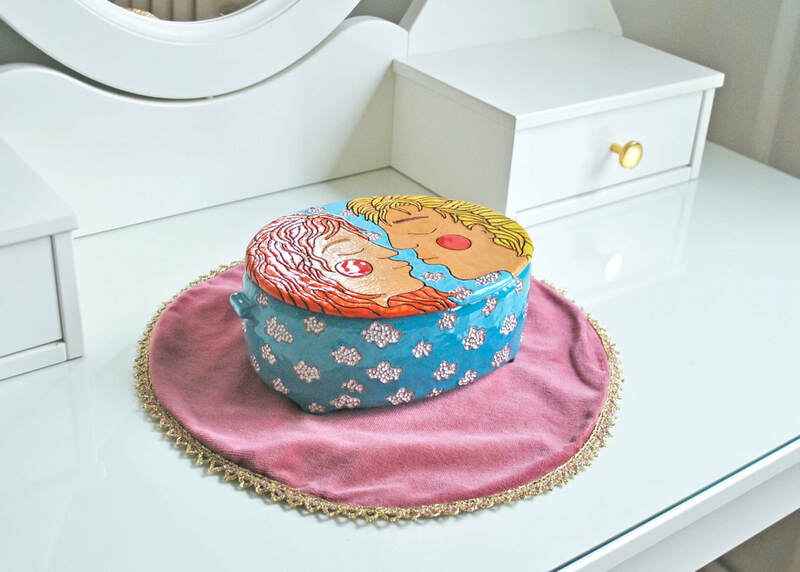 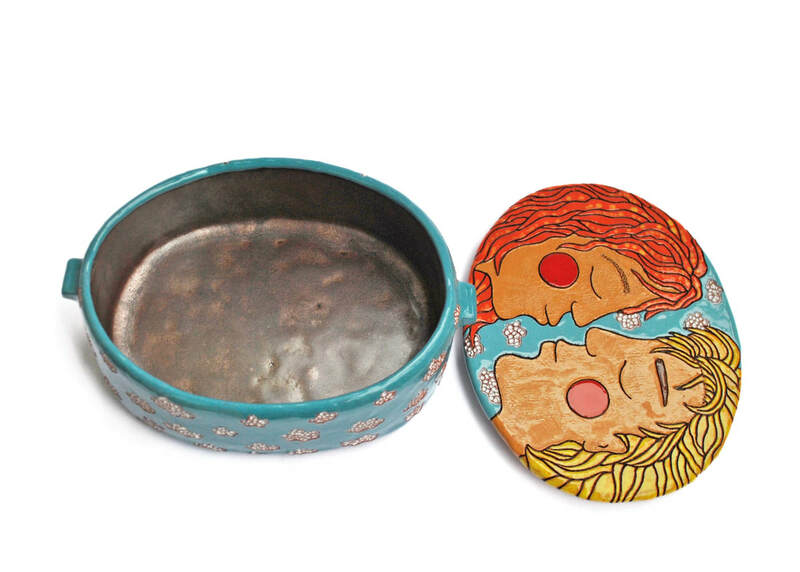 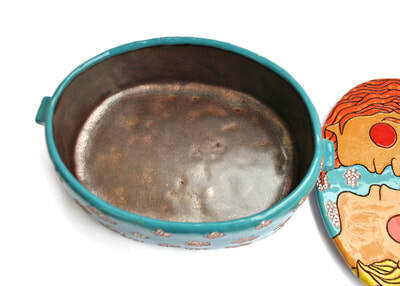 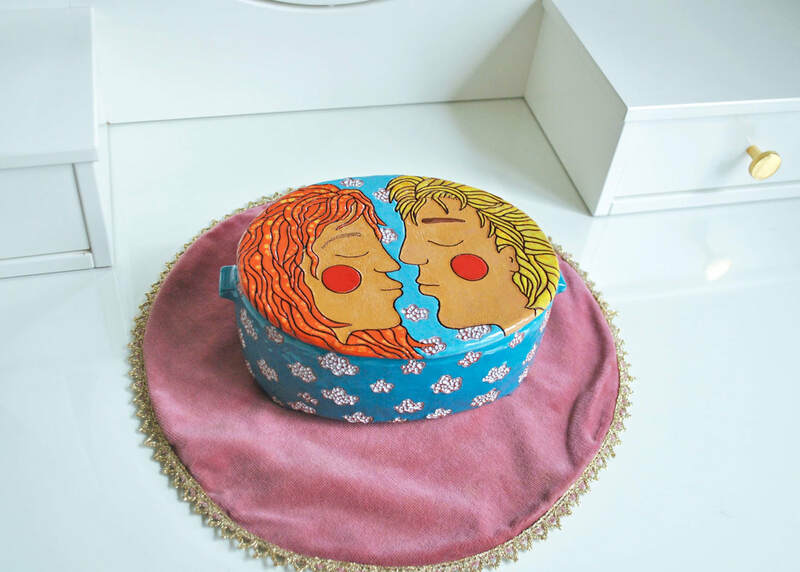 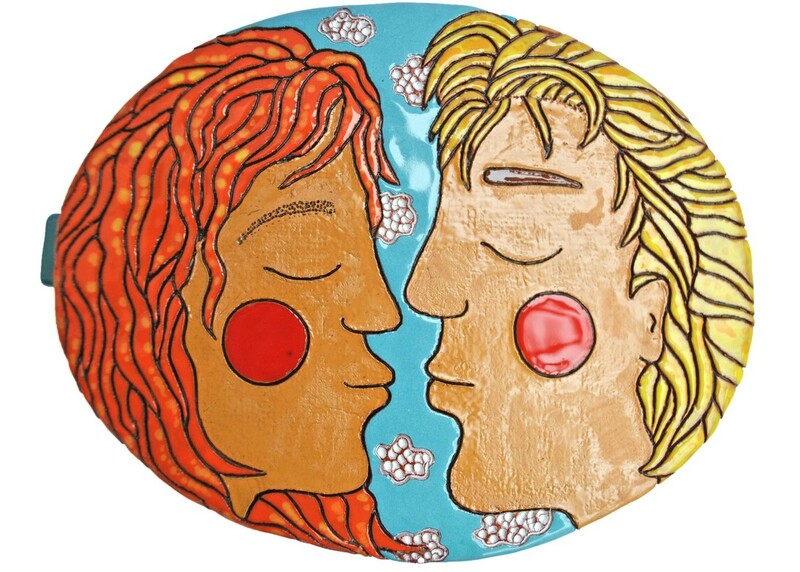 Ceramic love themed jewelry box portraying an intimate moment of a couple falling in love. 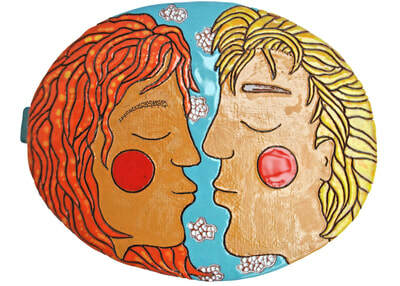 Each line and curve is handcarved and precisely glazed. 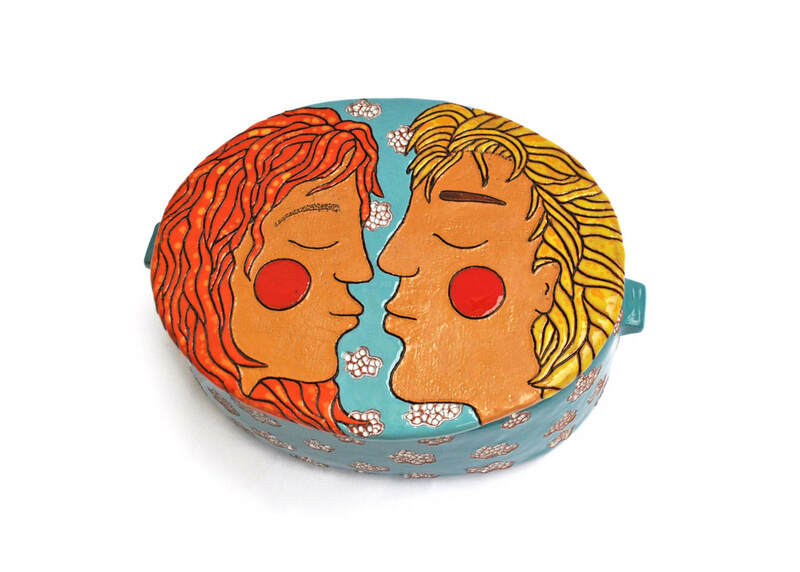 The inside of the box is covered in sparkling cacao tone glaze. 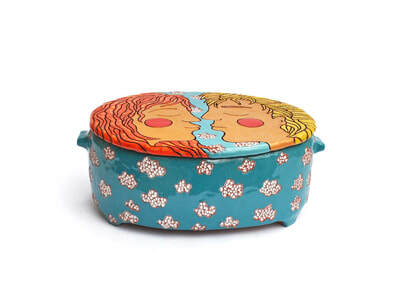 The box is approximately 7.5 cm/ 3 inches tall, 20 cm / 7.8 inches long, 14.5 cm / 5.7 inches wide.